This entry was posted on November 27, 2013 by Avel Ureno. 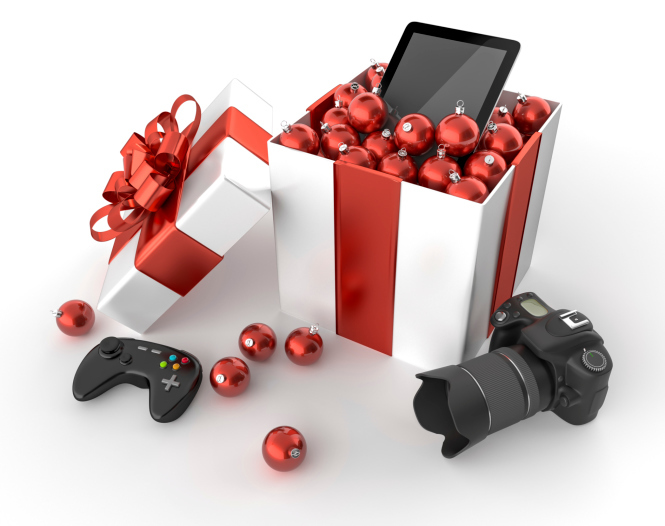 Creating a list of gift ideas for the upcoming holiday season can be challenging, especially if you have a few people on your list who are tough to satisfy. However, in such a tech-driven world, you probably can’t go wrong with one of the top gadgets and new technology devices of the year. 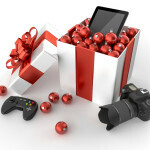 The upcoming holiday season features plenty of new devices that should please everyone on your gift list, from the experienced gamer to the fitness enthusiast. With Black Friday just a few days away, what better time to get holiday shopping out of the way and take advantage of some great deals! Google’s Chromecast helps bring the world of online video and music to the living room or theater room. After plugging the small device into a television, users can start enjoying their Netflix and Hulu subscriptions over their wireless network. The device can also display other content from Google, including movies and television shows. To control the device, you only need your smartphone, tablet or computer. The device is compatible with both Android and Apple mobile products. The Kindle Fire HDX is Amazon’s latest addition to its family of Fire tablets. Featuring a clear 7-inch display, these new tablets offer a range of different storage sizes to suit your gift recipient’s lifestyle. The tablets’ newest feature, the Mayday button, allows users to immediately get help from a trained customer service representative from Amazon. This special feature is especially appealing for those on your gift list who have little experience with tablets. If you have a friend who loves to exercise and play with the latest consumer gadgets, a Fitbit device is an excellent choice. With a Fitbit, users can track a number of interesting statistics about their bodies and habits, including how many steps they’ve walked in a day and how many calories they’ve burned. Users can use the Fitbit website or an app to check on their data and make goals to embrace a healthy lifestyle. The newest model, the Fitbit Force, is water-resistant and can even track a user’s sleep patterns. The Pebble Smart Watch is one of the best gift ideas for those who can’t be parted from their smartphones. This stylish watch will look good on a friend’s wrist and offers a number of exciting functions. For example, when your friend receives a phone call, her device will light up and vibrate. Even with the device’s small screen, users can read incoming emails and text messages. The device comes loaded with some fun apps, including an app to track speed and mileage while riding a bicycle.